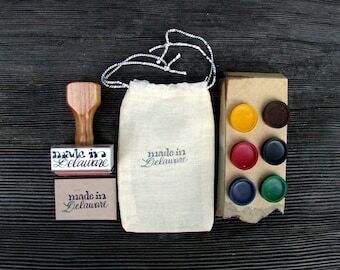 A cool addition to any artist's toolbox. 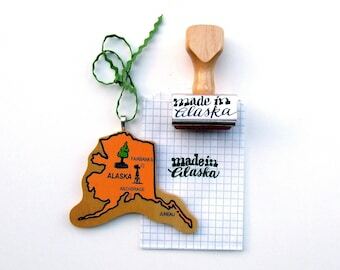 Stamp the backs of cards, item tags, gift boxes, favor bags and more. 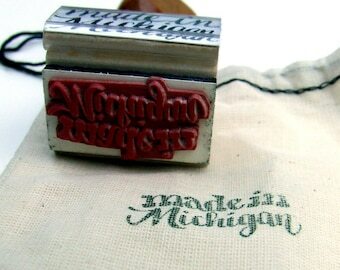 This wood handle stamp is part of my "made in America" calligraphy stamp series. 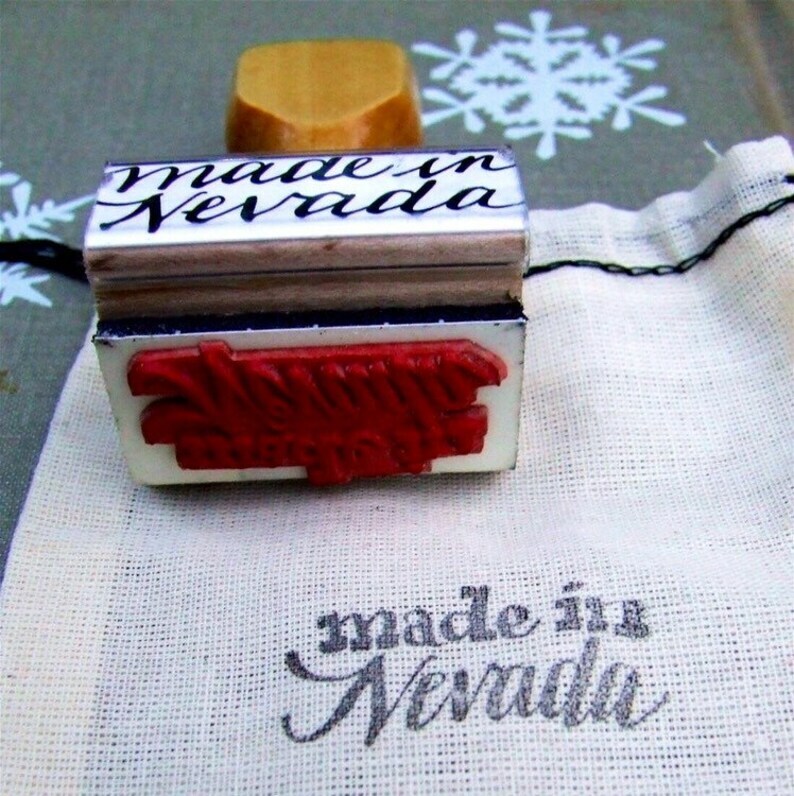 This is a high quality rubber stamp, made to last for years! Handles are turned from North American native woods. 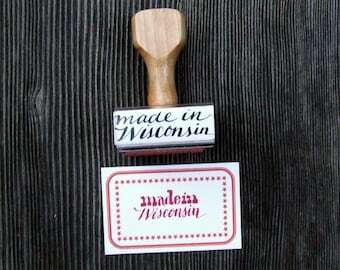 Printing die laser engraved from my hand lettering in real red rubber. 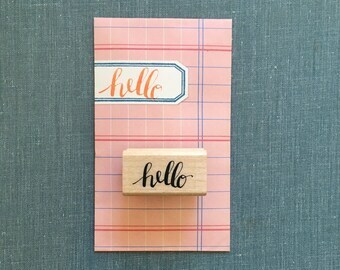 To be used with a separate ink pad. 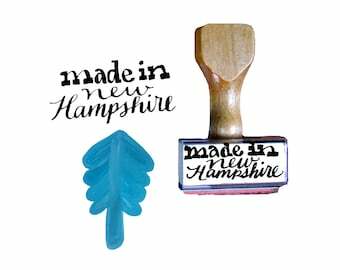 Please, do not clean your rubber stamp with any harsh chemicals. 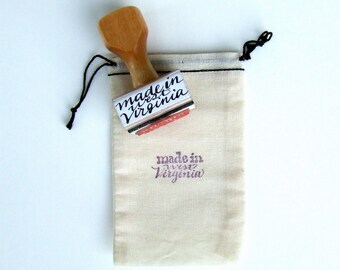 Each stamp has an individually hand lettered label marker. 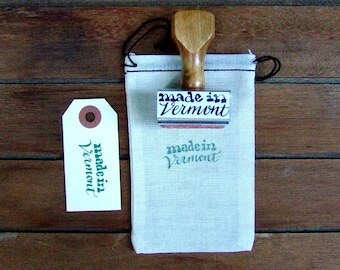 Packaged in a hand stamped, unbleached cotton muslin tie string bag, perfect for gift giving. In stock and ready to ship. 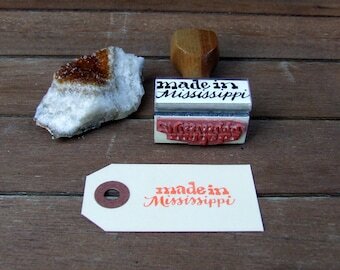 My stamp is perfect for my labels on my hand poured candles! 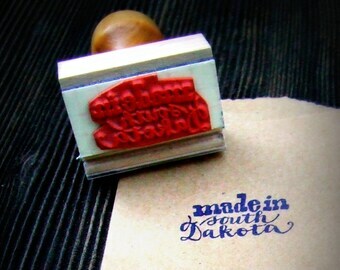 I want people to know that they are made right here in Missouri and what better way than with a personal stamp! Excellent craftsmanship by this shop and fast shipping. Appreciate the little extras and I am putting my little name button on my jean jacket along with my other little buttons that this old hippie wears...lol Thank you so much!! 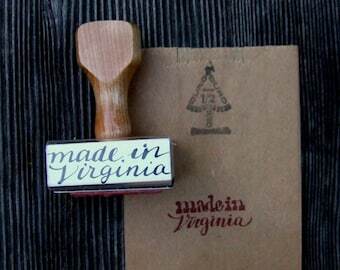 Love this stamp! Love this seller! Thanks so much!